As a follow-up to last week’s bluebird post, we thought we’d feature another HCTF wildlife project that BC birders can get involved in. The BC Breeding Bird Atlas is an ambitious project that unites the bird-watching community with biologists, management agencies, industry, academics and conservation organizations to create a comprehensive record of the status of breeding bird species in BC. Once complete, the atlas with serve as a key information source for both the wildlife management and wildlife viewing communities. The project was initiated by Bird Studies Canada (BSC) in response to the lack of data available for many of BC’s bird species. Without current information on bird population numbers and distribution, it’s difficult to make informed decisions about their conservation and management. The task of collecting data for a province the size of BC would be insurmountable for a single organization, but by combining the enthusiasm of local birders, the expertise of professional ornithologists and the back-country access of guide outfitters, BSC has done just that. The Atlas website now allows site users to access annual data summaries, print regional checklists, and view maps visually summarizing the results of their data collection. You can choose to display the breeding distribution of hundreds of different kinds of birds, or select additional options such as the number of species recorded in a particular area. The Atlas in now in the publication phase, and they are looking for contributions of high quality, colour photographs of every breeding bird species in BC. For more information on how to contribute photos, visit the BSC website. 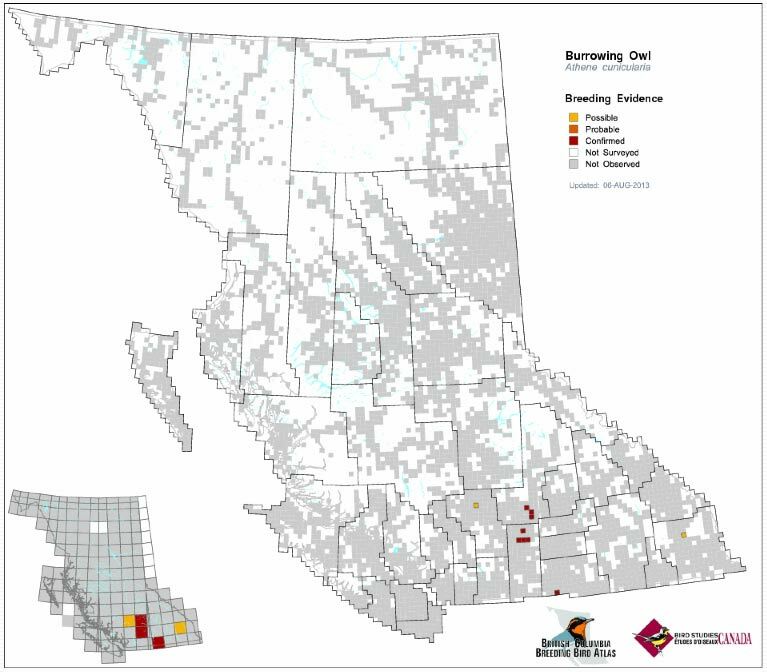 The BC Breeding Bird Atlas has been an HCTF grant recipient since 2009, receiving over $150,000 in funding to date. Earlier this year, Bird Studies Canada was presented with an HCTF Silver Award for the project’s contribution to conservation.